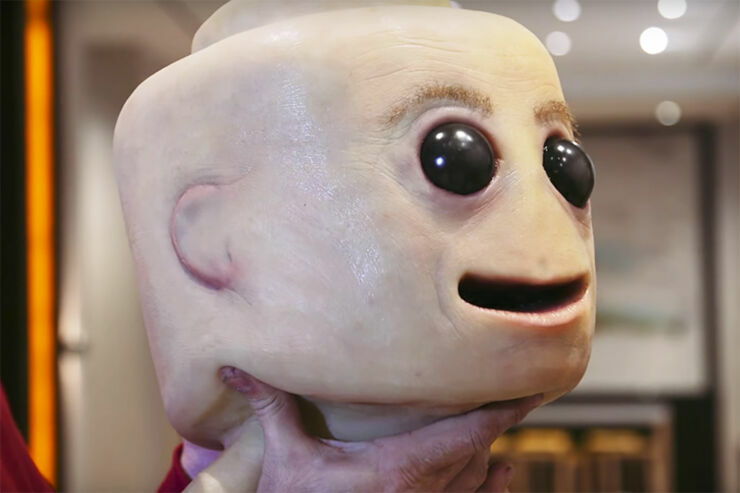 This Real-Life Lego Minifig Covered In Flesh Is Both Compelling, Utterly Horrifying And Totally NOPE! 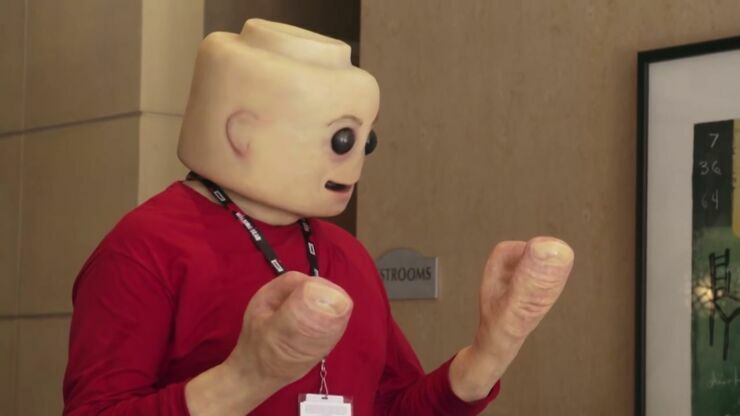 If you've ever pondered what a Lego minifig would look like in real-life, and by real-life that means covered in flesh, then what the heck is wrong with you? 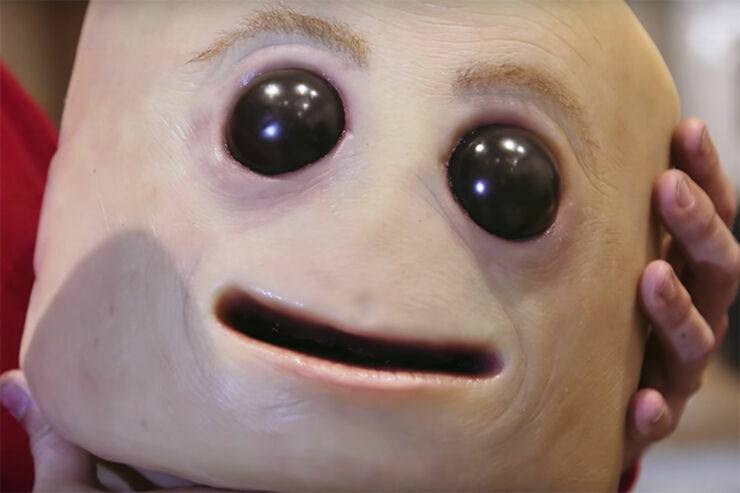 Also, you're in luck because at this year's San Diego Comic-Con, in collaboration with Tested, special FX artist Frank Ippolito went about designing, sculpting, and painting a LEGO-inspired cosplay mask that looks like a real-life version of a minifig. Who knows why people come up with these ideas? The mask alone is enough to give you eternal nightmares, but wait until you see the hands. Dear God. They have huge fingernails that will terrify you. 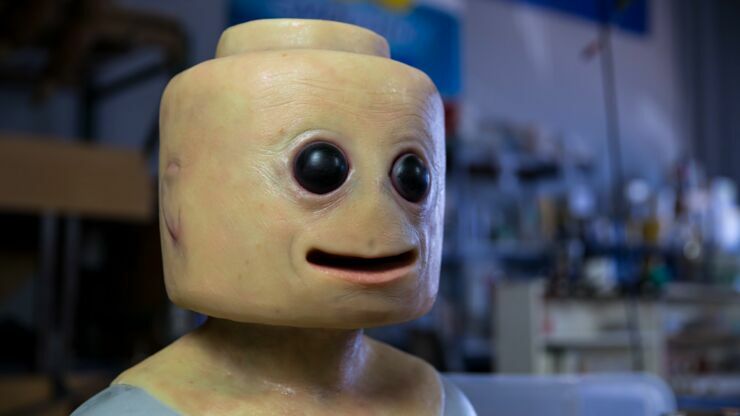 Ippolito used the dimensions of a minifig and scaled them up to ensure his uncanny horror show of a creation had the right proportions for its eyes and mouth. He's even given it some lifelike hairy eyebrows. While the hands looks like horrible claws. The resulting character they appropriately named Creepyfig and they've done a great job of turning something cute and fun into something that will fill you with unease and creep you the hell out. Once it was built Ippolito then donned the mask and claw-gloves and went on a tour around Comic-con, photobombing other cosplayers and playing with Lego bricks with children. It should be noted that the children don't seem to be bothered one bit by this abomination. it's only the adults who seem to need intense therapy to get rid of the nightmares in their heads. Why. Just why?. If you want to know how they sculpted such realistic-looking flesh, check out the making of video below. And good luck sleeping tonight. Or ever again. Sculpting a Realistic LEGO Cosplay Mask!